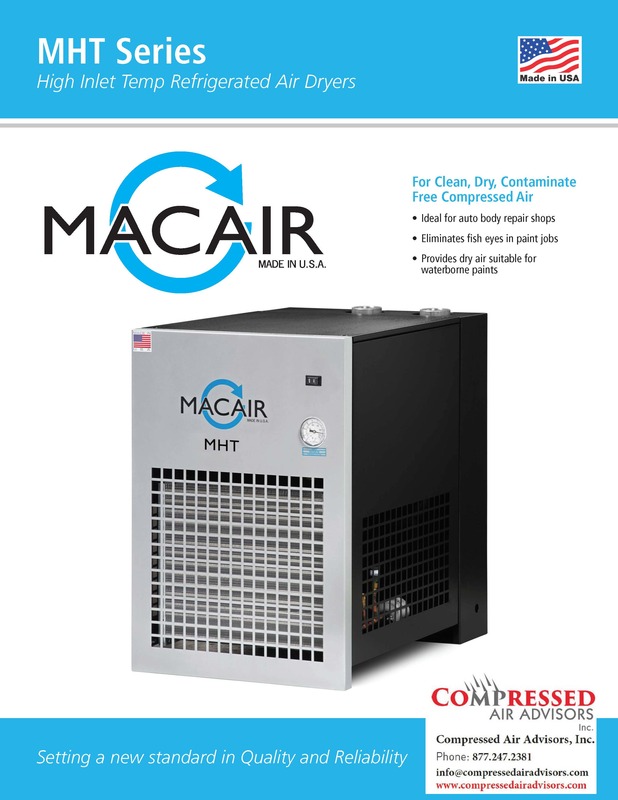 Macair MHT200-4 - 200 CFM High Temperature Refrigerated Air Dryer, 2"
MHT dryers are designed to be used with piston compressors and small rotary screw air compressors that have no after coolers. 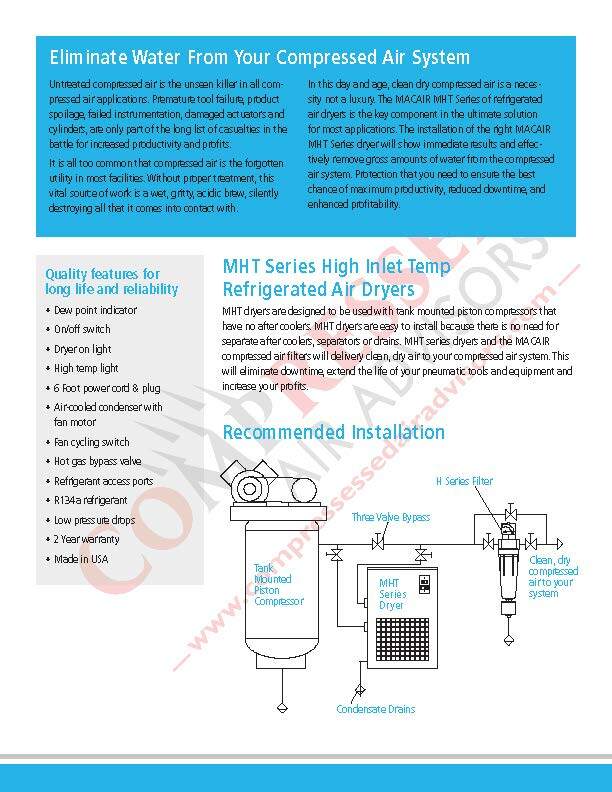 MHT dryers are easy to install because there is no need for separate after coolers, separators or drains. 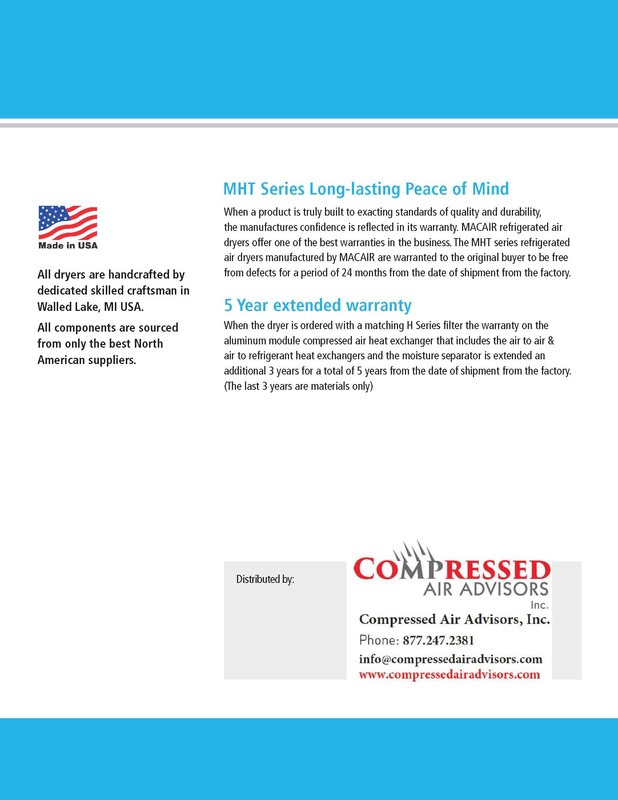 MHT series dryers and the MACAIR compressed air filters will delivery clean, dry air to your compressed air system. 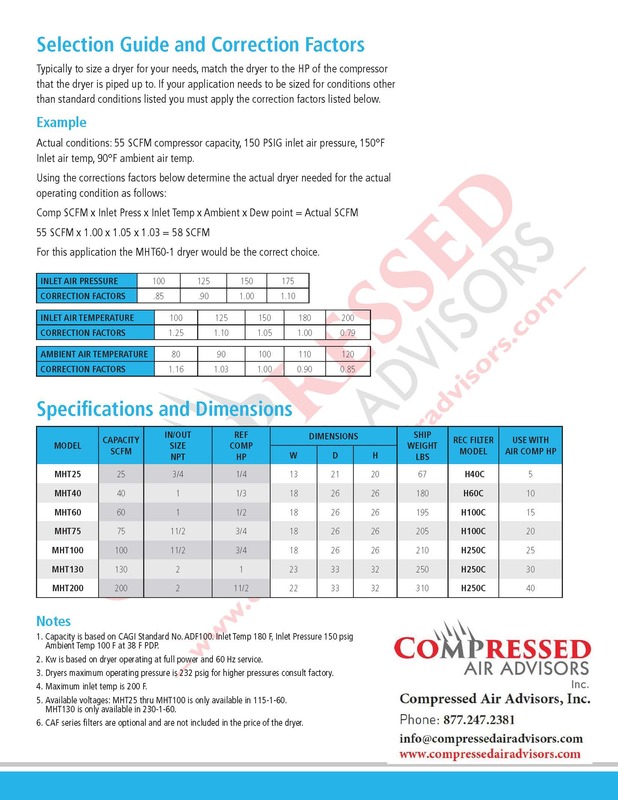 This will eliminate downtime, extend the life of your pneumatic tools and equipment and increase your profits.